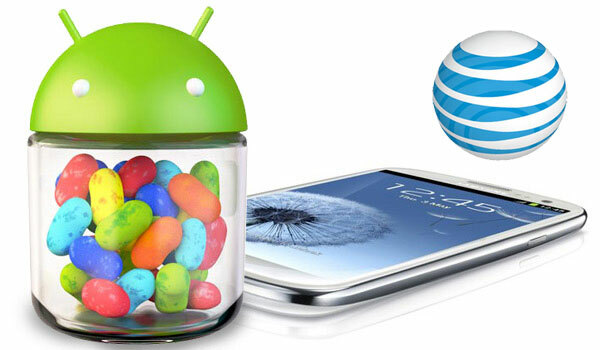 AT&T originally released the Android 4.1 Jelly Bean update for the Samsung Galaxy S3 in November, unfortunately, at that time the update was only available using Kies, but according to a report from Engadget, the update is now available over-the-air. This means that users of the AT&T Samsung Galaxy S3 can now check their devices for update notifications and install the updates via Wi-Fi, 3G or 4G connectivity, assuming they haven’t installed the updates as of yet. Previously, Jelly Bean was only available through Kies, a software program that allows users to plug their devices into a desktop or laptop computer and install the updates manually from there. As this is an often inconvenient and problematic process, Kies hasn’t been too popular a choice with Samsung device owners. Other tech sites have reported that the updates are indeed rolling out via OTA, so if you’re an AT&T subscriber who hasn’t updated your Samsung Galaxy S3 yet to Jelly Bean, now would be the time to check for notifications. This can be done by going to the device’s Settings, followed by About, then Check for Update. If notifications are available, then all it takes is a few clicks to complete the process, and less than an hour for the update to completely download and install. This is going to be quite a large update, so patience is required when updating your device from Ice Cream Sandwich to Jelly Bean. The update will bring things like Google Now, Project Butter, improved notifications and more. Other bits and pieces scattered throughout TouchWiz should include increased lock screen customization features, improved camera settings and more. Alongside a WiFi connection you’ll want at least 30-50% battery life before downloading and accepting this one.